Although you may want to lose an excess of 15 lbs. as fast as possible, the best rate of weight loss, according to the Centers for Disease Control and Prevention (CDC), is 1 to 2 lbs. per week. Steer clear of fad diets or seemingly miraculous supplements as these usually result in long-term failure and regaining of weight. The best way to lose 15 lbs. is to adopt strategies that are easily incorporated into your lifestyle and that contribute to an overall improvement in health and well-being. 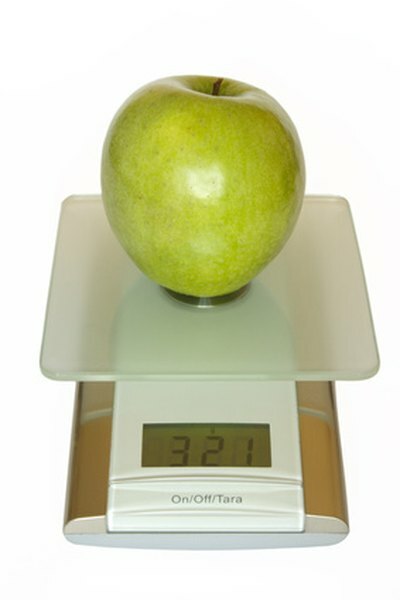 Reduce your calorie intake by at least 500 calories a day to lose 1 lb. in a week. Since 1 lb. of fat has 3,500 calories, you can reach your goal in give or take three months. Consume quality foods, such as lean proteins, whole grains, fresh fruits and vegetables, and low-fat dairy. You will find that by eating these foods, you can enjoy larger servings and feel more satisfied than if you load up on calorie-dense and nutrient-poor junk food. Eliminate discretionary calories that come from excess sugar, white flour and alcohol. Cut out just one cookie and a soda daily to save 300 calories. If you must drink, choose wine which contains about 150 calories per serving and contains antioxidants, instead of a mixed drink that has upwards of 400 calories per serving. Monitor the size of the portions you eat. Use measuring cups and spoons to serve starches and dressings. Weigh proteins to ensure that you're eating just 3 or 4 oz. per meal. After a while, you will be able to better eyeball appropriate portions and prevent over-serving yourself so you can keep the 15 lbs. off for good. Increase your protein intake to as much as 35 percent of your daily calories, which is the upper limit recommended by the Institute of Medicine. A diet that features a great amount of protein makes you feel fuller, reduces cravings and slightly raises your metabolism, according to the Harvard School of Public Health. Remember to get about 50 percent of your daily calories from carbohydrates so your energy levels stay strong. Be sure you select sources of protein that are low in saturated fat -- skinless poultry, lean cuts of beef, beans and tofu are good choices. Avoid skipping meals. Although you might think you are saving calories, skipping meals usually backfires and causes you to become so hungry that you overeat later in the day. Eat three meals and two snacks a day to keep your metabolism revved and hunger at bay. Perform moderate-intense cardiovascular activity for at least an hour per day, five days per week, as recommended by the CDC. Make movement a priority during the day; take more frequent walks, clean house or play with your kids. Turn off the TV in favor of more active leisure time. If in addition to your gym time you can burn off another 250 calories per day, you will lose another 1/2 lb. per week. Incorporate strength training into your weekly routine. Create lean muscle mass by using free weights, weight machines or body weight exercises. Compared to fat, lean muscle mass burns more calories at rest. It also gives you a toned appearance. If you do not have access to a gym, consider investing in a pair of medium-weight dumbbells, and perform a few push-ups, crunches, dips, squats and lunges at least twice a week. Consult a doctor before starting a weight-loss regimen, especially if you have a health condition or injury. Avoid consuming fewer than 800 calories per day without medical supervision.